The new property portal quietly bought up advertising slots on the websites to coincide with this week’s launch. 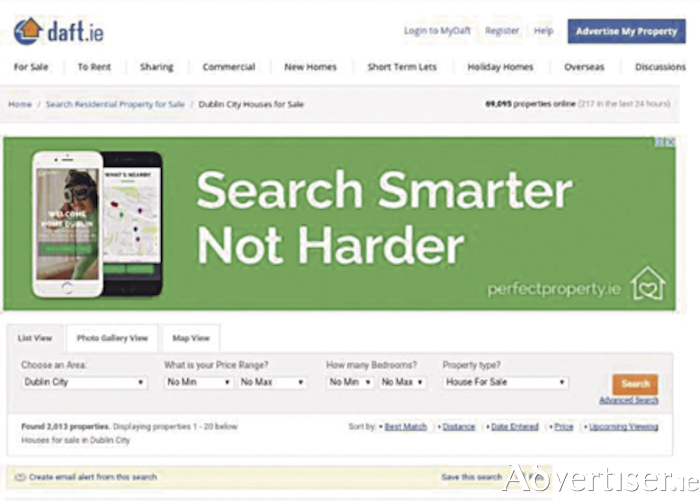 Visitors to Daft.ie are being met with PerfectProperty.ie advertising – ensuring that tens of thousands of buyers and renters have discovered the new service. PerfectProperty.ie boasts unique user-friendly functions which allow home hunters to filter their searches according to ‘Hidden Gem’ features such as parking, gardens, south-facing aspect, large kitchens, investment potential and proximity to public transport. The website also provides users with independent information about the nearest transport, schools, shops and restaurants to every property. And because most people choose property on how visually appealing it is, PerfectProperty.ie is image-driven. Users can browse pictures of properties without leaving their search results, while estate agent jargon is kept to a minimum, allowing buyers and renters to focus on images, unique features and local amenities.